Ahoy! 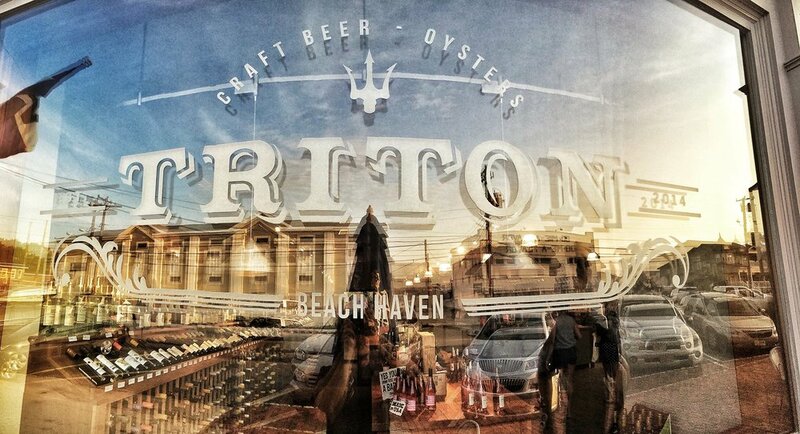 Here at Triton, we offer a rotating selection draft beers from micro and craft breweries from around the country. Stop by and check out the chalkboard for what's on tap this week! Our raw bar boasts a variety of fresh oysters and clams, peel-and-eat shrimp, and the famous seafood tower. We also serve lobster rolls and wood-fired pizzas. Can't stay? We also have an amazing selection of wine and beer for sale. Our daily happy hour from 3pm - 6pm offers $1 Oysters, $0.75 Clams, and discounted drinks!